Gluten Free Old Fashioned Rolled Oats make a deliciously hearty, wholesome hot cereal that gives lasting vitality. There are many ways to cook with oats. They make a great crispy coating; they extend meatloaf and burgers, while enhancing their juiciness; and they can make a savory side dish. 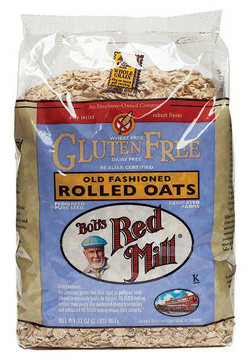 To ensure that these oats maintain their gluten free integrity, Bob's Red Mill handles them with care in their dedicated gluten free facility.